Our Annual Mead Celebration in Pittsboro, NC! The American Homebrewers Association has designated the first Saturday in August as Mead Day. We think it’s a great excuse for a mini-Renaissance Faire! Due to our move into our new location in late Summer, we are postponing out Mead Day celebration to Saturday, September 22, 2018! We hope you will join us then! Hosted inside and outside Starrlight Mead, this is one of our favorite celebrations and our biggest event of the year. Free, fun, and family-friendly - this is one you don't want to miss! We have smoked Turkey Legs, food trucks, sword fighting knights, Renaissance music, home mead making demonstrations, lots of arts and crafts vendors – including jewelry, stained glass, iron candle holders, and much more great items! 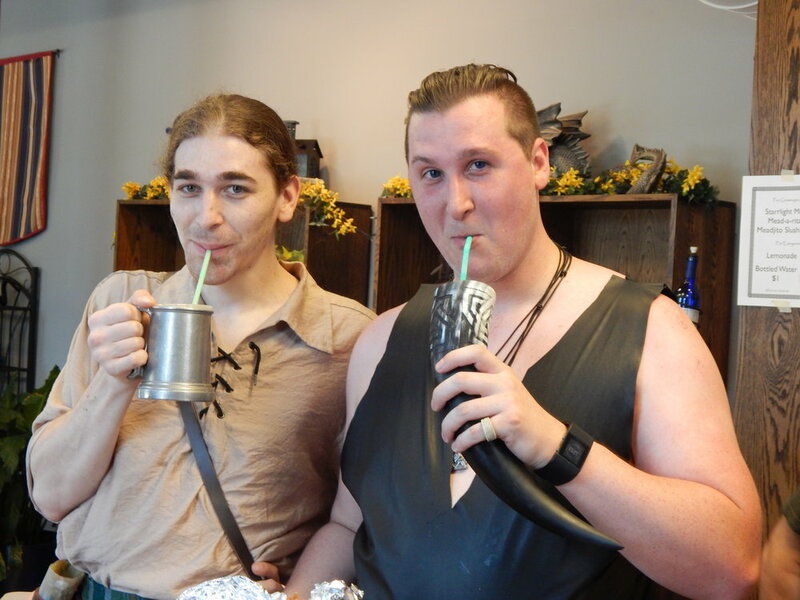 Come in costume if you'd like, enjoy local food for purchase, mead tastings, and more.